Everyone knows that one person in their church who praises God loudly on Sunday and then promptly forgets how to live a Christian life when they walk out the door. They talk about how people should be charitable and give to the poor, and then they throw out half of their meal when they eat out and refuse to lend a helping hand to those in need. They brag about how much they volunteer, but never contribute anything without making a scene. They are modern Pharisees, and half of the time they are the ones who sing the loudest “hallelujahs” on Sunday. Hypocrites drive everyone crazy, regardless of what faith they practice, but there is something especially galling about encountering them in the house of God. In fact, hypocrisy apparently drives Pope Francis batty enough that he said it was better to be an atheist than to be a Christian who speaks the Word loudly with their mouth and then ignores it in their lifestyle. The sentiment that atheism is preferable to even half-hearted Christianity is surprising to hear from the leader of the Roman Catholic Church, the largest Christian denomination on the planet with an estimated 1.2 billion adherents. 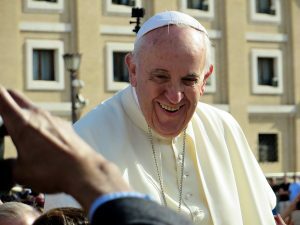 A closer examination of the Bible, however, shows that Pope Francis’ statement is not as out of left field as it may first appear. Story after story shows Christ forgiving gentiles and sinners but condemning the hypocrisy of the Pharisees and elders. Christ never advocated for the Pharisees to abandon Judaism, but He did make it clear that He felt they were not living up to the faith that they claimed to profess. What the hypocrites Pope Francis called out will do is unclear. Regardless of their response, however, Pope Francis once again endeared himself to the average Catholic by speaking out about an issue that the everyday person encounters all too often.